A woman has been allowed to keep a bag used to collect Moon rocks after a court ruled in her favour. The bag was originally part of the collection of Max Ary, a curator convicted of stealing artefacts from the Cosmosphere Space Museum in Kansas. It was sold at an auction held by US marshals in Texas in 2015. 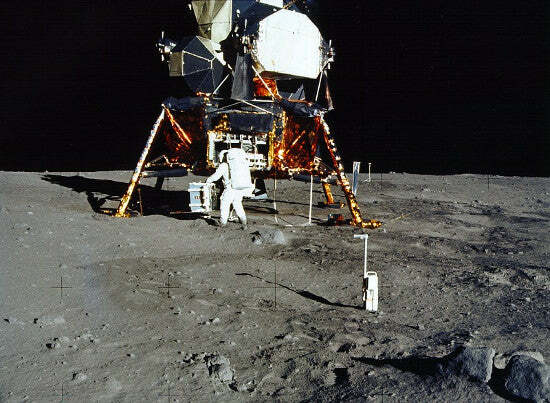 It was sent to NASA for testing after the sale and was identified as originating from the Apollo 11 mission. It was also confirmed to contain traces of Moon dust. The agency argued that it should never have been sold, but the judge came down on the side of the buyer - who paid just $995 for the piece. Click here to take a look at all our space memorabilia for sale. Please sign upto our free newsletter to receive exciting news about space memorabilia auctions.